Applying to graduate school is one of the toughest decisions you will make; but you don’t need me to remind you that, because if you’re here for advice then you’ve already heard that line from every “how to” guide. It’s an important point, but its proliferation in discussions of how one should apply to, and prepare materials for, graduate school is matched by the converse quiet of the same discussions in regard to the most stress-inducing piece of the application: the statement of purpose, what some universities label the personal statement and others the academic statement (of purpose). Each applicant’s materials are unique, because they are each to their own. No one can tell you how to best do you in an application, but I can give some pointers, let you know what worked for me in my own process, and relay some best practices I learned from other successful (and not so successful) applicants and from professor-mentors. On the last point, I cannot stress enough that the most significant factor in your successful application to graduate school is the cultivation of multiple relationships with faculty mentors. In preparing my own statements for PhD applications while I was a Master’s student, I sought the help of five professors at varying stages in their careers: two were full professors, one of whom had sent numerous students on to PhD programs; two were assistant professors either going up for tenure or just about to, and both exceptionally well-published and well-regarded in their fields; and the final was a visiting assistant professor, a few years out of his PhD program, and certainly up-and-coming. Among my own five mentors I often received conflicting advice, and while that was at times daunting, I utilized my best sense to make decisions about what ended up in the final draft. This occasionally meant taking the advice of younger professors to what I assumed might be the chagrin of the more well-established ones; however, I’ve come to realize that mentors tend to ignore what they first disliked if it shows up in a later draft, most likely out of respect for your autonomy as an emerging scholar to craft your own voice. After all, think back to your own experience as a peer reviewer: have you not suggested words or phrasings or argumentative approaches borne more from your own (sometimes even aesthetic) preferences than actual critical necessity? The ultimate and best warning is to be cautious and smart about what advice you follow, even the advice below. If you have read Karen Kelsky’s recent book The Professor Is In: The Essential Guide to Turning Your PhD into a Job (2015)—and if you haven’t, you should even before you are accepted to a PhD program—then you’re well aware that older faculty tend to not be as keen to the contemporary demands of PhD applications and the job market. If you are at an institution that has a PhD program, then you are in luck, because it’s highly likely your own mentors will be quite familiar with what a “good” personal statement looks like. Still, no matter who your mentors are, you may not have access to what a personal statement looks like before the first time you sit down to write one. The PhD application statement is, to be sure, an awkward genre. You’ll never really know if you wrote a good (or great or maybe bad or perhaps terrible) one until you see the fruits of its success or failure a few months after submitting it along with those other required documents, and even then you might not be sure whether it was the statement, recommendations, or writing sample, or some combination that ultimately ushered you into the upper atmosphere of higher education. I’m still not sure that my statements were “great,” but I have an inkling that, after some 15 drafts and countless hours meeting with five professors to go over those drafts, and countless more hours considering every word of the between 500 and 1000 words allotted, I at least produced a “good” statement of purpose. My statements were also successful in that I was admitted to 8 PhD programs, most of them highly regarded, and wait-listed at 3 others (I never discovered if I was “in” because I made my decision before that time came). Specifics can be found here. The more discerning prospective graduate student might quip that the top-tier programs all wait-listed me; in part, that’s true, and that has much to do with my disciplinary background: my B.A. is in anthropology and linguistics, my M.A. in American Studies, and I applied to Ph.D. programs largely to do literary studies, having at the time taken only four classes in an English department. I was, then, a rather awkward candidate for more traditional schools, especially since in addition to a non-traditional background my interest lies in genre fiction, still (I emphasize that word with complete frustration and continued shock) a field of study whose mention garners groans from most literature professors. and finally that I am a good fit for the department, having demonstrated I know what they are about and have considered them not solely because of their name and reputation (or out of, say, a completely unrelated desire to live in, I don’t know, NY or CA) but because I feel they are the place for me. The two most common word requirements for PhD program statements are 500 words and 1,000, give or take (one university wanted a statement of 300 words; I did not apply there). The former is really too short to give an adequate rendering of oneself, of one’s career goals and scholarly potential—but we do as must! Be warned that you cannot push the 500-word limit. You should, however, endeavor to be under the 1,000 word limit. Really, I found that my best statements were around 850 words, though that length differed depending on how much I liked about a school, what I could say they offered that would benefit my own work, and so forth. In addition, I have supplied brief annotations before each paragraph that provide rationalizations for their shape and contents, and that make clear the connections between paragraphs. In further reproducing my process of preparing the statements, the longer version comes first, followed by the shorter. This is the order in which I wrote the statements, and is probably the best way to do it, since knowing what you can cut is a much better means of preparing finely honed writing that (not) knowing what you have to add. Here is my statement for MSU, the university I ultimately chose to attend. Note that even though this is a “long” or 1,000-word statement, I used roughly 820 words (180 under the 1,000-word maximum). The statement does not in any way suffer from its seeming shortness; I did not need 180 more words. If you don’t need them, don’t use them. The first paragraph introduced my credentials at the time of application, and briefly states the university and the specific program and program type to which I am applying. It also makes clear my general fields of interest (at least at the time). This is crucial since many departments do not have a single committee reading applications, but pass on applications to smaller, field-specific committees depending upon the student’s declared interests. This paragraph should be succinct, and should also give a taste of why the university to which you are applying stands out to you. In my own statement I made obvious my fields of inquiry by simultaneously addressing why I was applying to the program. I am applying to Michigan State University’s English Ph.D. program because I believe its interdisciplinary approach to literary-historical scholarship and the faculty’s authority in the fields of twentieth-century, contemporary, and postcolonial literatures and film will allow me to build on the training I have received in the American Studies M.A. program at the University of Massachusetts Boston. The next paragraph develops a narrative of my research interests; it says, “Here is what I do, broadly speaking, and here are the questions, eras, periods, texts that I have some expertise in.” This paragraph sets up the rest of my discussion, creating a frame for talking about what I have done, what I hope to do, and why it matters to the program and their faculty. As a graduate student I am invested in understanding literary, filmic, and graphic narrative expression in the 20th and 21st centuries, especially as such expression interacts with not only social and political movements but also national and global markets. My seminar papers and conference presentations have focused on historical moments of shift in the cultural “worth” of genres and mediums, and how those shifts interact with the larger dimensions of cultural and artistic periodization. 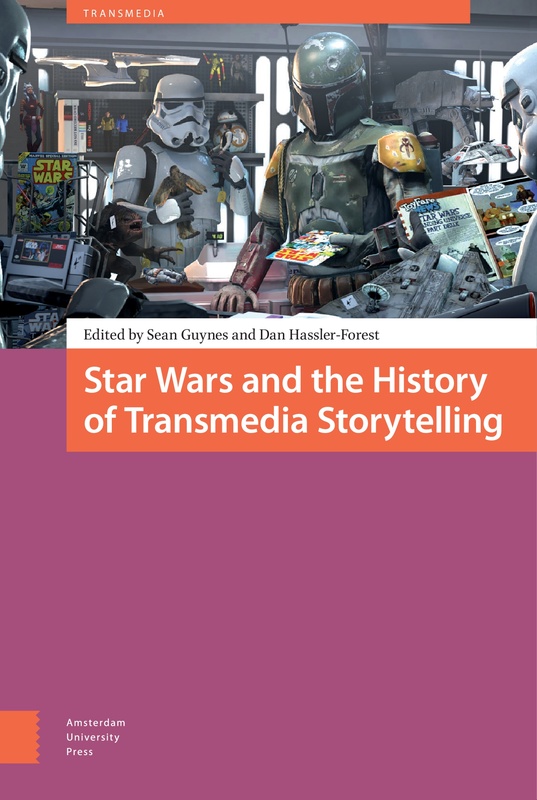 The study of the cultural reappraisal of texts—such as occurred for comics as they became “literary” in the 1980s, or for speculative fiction as it was imbued with anti-capitalist, postcolonial, and feminist politics in the 1960s—has been central to my investigation of the dense interconnections among literary production and sociocultural formations, particularly in the case of genre fiction as it is elevated from popular readership into the realm of the literary or, conversely, as it expands beyond restricted fields to a mass audience. This paragraph states my background and training, and demonstrates that I am academically competitive, capable of doing “serious” research that will be viable at the doctoral level and, eventually, beyond. I rope in my thesis, one conference presentation that garnered an award nomination, and my single publication at the time (note that I downplay its significance “minor contribution” because I felt, and still feel, that the paper advances a very minor, almost inane aspect of the discussion of comics). I develop this vision of literary studies through my master’s final project, in which I chart two distinct eras of LGBT characters and themes in the superhero genre of mainstream comics. In the first, I argue that as AIDS brought new visibility to queer life in the United States, gay characters made their appearance overwhelmingly and problematically as victims to be saved. I further show that, when gay marriage became the principal referent for homosexuality in media discourse, comic book companies turned to “gay marriage” or “coming out” special editions to drive up sales and hook new readers. Analyzing the state of the contemporary comics industry, I point to creator-owned “independent” companies as examples of how writers/artists can resist, even challenge, the impulse to sell racial, gender, and sexual identities. As an outgrowth of this project, I recently gave a presentation on racialized homophobia in superhero comics at the New England Popular Culture Association conference, where I was nominated for the best graduate paper award. Additionally, my forthcoming article in The Public Journal of Semiotics represents a minor contribution to theorizing the structure of visual sound, or onomatopoeia, in comics. Now that I’ve said some of my qualifications, my ability to do graduate-level work, I tell the program why I want to continue to the PhD level, and I speculate as to the type of research I hope to work on while there. I show a knowledge of major problems and questions in the field (“complicates the literary critical debates about postmodernity,” etc. ), and demonstrate my ability to make my specific (possible) topic relevant beyond field-specific concerns (“contribute to our conceptualization of the world historical present”). Note that what I set out here is very basic, but nonetheless communicates a very clear understanding of my research and its place in the academy. It is neither too specific nor overly vague. As a doctoral student, I plan to build on my work with comics and genre fiction, and I am especially eager to interrogate the place of speculative fiction (SF) within postcolonial and world literatures. My research will continue to be motivated by questions that probe the full breadth of the possibilities of interdisciplinary literary studies. I am particularly interested in examining how SF complicates the literary critical debates about postmodernity, the contemporary, and the postcolonial—not only as historical periods but also as artistic dispositions. Expanding on my research and scholarship to date, I want to investigate what SF and the fantastic more generally contribute to our conceptualization of the world historical present in all its transnational complexity. These questions ultimately prompt us to ask whether the worlding of SF is unique, or if its spaces, usages, and critical dimensions are akin to, say, the global detective novel. The following paragraph is what I consider the crux of the statement of purpose. It is also the one you will have to play with the most, since once you have a single draft of a statement you can basically replace university names, department names, and program titles throughout. Here, however, you have to be specific. My approach with this paragraph was to bridge the former discussion of my research interests very clearly with what the program offered. Then, I discuss individual aspects of the program that show I know why the program is a good place for my research. I do this by pointing to individual seminars that were recently conducted, by highlighting an area of research emphasis the program offers and a special research collection available only a that university, and finally I discuss the work and research of several professors. Each of these paragraphs looked very different, with the exception of the first sentence, across my statements of purpose. This is your chance to tell them about what really draws you to not just their program, but maybe also their university. The University of California, Riverside, for example, is host to the world’s largest SF library, so I made sure to mention that it would be crucial to my research; the same with MSU’s Comic Art collection, also the largest in the world. That I name three professors without being specific, is actually one of the things I would change were I to reapply; instead, I would choose two, and be very specific about their work (books, centers they run, etc.) and how they might shape my own inquiries. The teaching and research that define Michigan State University’s English graduate program will allow me to address these and other questions, so urgent in an era of infinite commodification and neocolonialism, and necessary for theorizing the political (and pedagogical) potential of genres such as speculative fiction or literary modes such as comics and the graphic novel. The department’s recent seminars of the variety represented by Nieland’s “Global Film Noir,” Harrow et al.’s “Literary and Filmic Representations of Diaspora,” and the co-taught “Empire and Globalization” suggest that my coursework at MSU will happily engage multiple theoretical schools and literary canons. Additionally, the Department of English’s cross-field areas of emphasis, especially in Postcolonial and Diaspora Studies and in Film and Visual Culture, as well as the availability of MSU libraries’ Comic Art Collection, will allow me to collaborate with a diverse body of students, disciplines, and research materials. Working with professors such as Salah Hassan, Gary Hoppenstand, and Sheng-mei Ma will offer me methods for interrogating understudied texts in national and transnational context, in global circulation. You have now reached the end: restate your interest, and find some compelling way to demonstrate that you want to be there, not just in a PhD program, but in their PhD program, taught by them, and a member of their community. It is where you will spend the next 5-9 years of your life (going off of MLA PhD completion statistics), so you better be sure it’s a place you really want to be. And if you are, then it should be a piece of cake to let them know. Michigan State University’s Ph.D. program in English is the ideal place for me to develop a mastery of literary-historical scholarship that will allow me to cultivate my research potential. I seek to contribute to the discipline’s history, methods, and attendant theoretical concerns. The faculty’s championing of interdisciplinary literary and cultural studies, and the department’s mission to train informed teachers and scholar-critics, make MSU’s English program uniquely suited to my goals and interests. MSU’s Department of English is the community in which I want to grow as a scholar, teacher, and expert in the field of literary studies. The following is the statement I submitted to LSU, one of the universities to which I was accepted. I do not provide inter-paragraph annotations here, because it is rather obvious the cuts I made, and I think the rationalizations for what was most worth using the allotted words also speak for themselves. I am applying to Louisiana State University’s English Ph.D. program because I believe its interdisciplinary approach to literary-historical scholarship and the faculty’s preeminence in American literature, critical theory, and the study of speculative fiction will build on the training I have received in the American Studies M.A. program at the University of Massachusetts Boston. As a graduate student I am invested in understanding literary, filmic, and graphic narrative expression in the 20th and 21st centuries, especially as such expression interacts with not only social and political formations but also national and global markets. My seminar papers and conference presentations have focused on historical moments of shift in the cultural “worth” of genres and mediums, and how those shifts interact with the larger dimensions of cultural and artistic periodization. The study of the cultural reappraisal of texts has been central to my investigation of the dense interconnections among literary production and sociocultural formations, particularly in the case of genre fiction. I develop this vision of literary studies through my master’s final project, in which I argue that as AIDS brought new visibility to queer life in the United States, superhero comic books began to use LGBT characters overwhelmingly and problematically as victims to be saved, the superhero able to intervene where medicine and government institutions fail. As an outgrowth of this project, I recently gave a presentation on racialized homophobia in late-1980s comics at the New England Popular Culture Association conference, where I was nominated for the best graduate paper award. Additionally, my forthcoming article in The Public Journal of Semiotics represents a minor contribution to theorizing the structure of visual sound, or onomatopoeia, in comics. As a doctoral student, I plan to build on my work with genre fiction and I am especially eager to interrogate the place of speculative fiction (SF) within postcolonial and world literatures. I am particularly interested in examining how SF complicates the literary critical debates about postmodernity, the contemporary, and the postcolonial—not only as historical periods but also as artistic dispositions. The teaching and research that define LSU’s English graduate program will allow me to address these questions. The department’s recent seminars of the variety represented by Maciak’s “The Afterlives of Realism,” Bickmore’s “Culture, Capitalism, and the Contemporary Literary Market,” and Berman’s “Literature of 9/11 and Beyond” suggest that my coursework at LSU will happily engage multiple theoretical schools and literary canons. Moreover, working with professors such as Carl Freedman and Isiah Lavender III will offer me methods for interrogating speculative fiction. Louisiana State University’s Ph.D. program in English is the ideal place for me to develop a mastery of literary-historical scholarship. The faculty’s championing of critical, feminist, and cultural theory perspectives alongside the study of genre fictions make LSU’s English graduate program uniquely suited to my goals and interests. LSU’s Department of English is the community in which I want to grow as a scholar, teacher, and expert in the field of literary studies. In lieu of a final piece of advice, I want simply to reiterate that the more connections you develop with mentors, the better your work will be, and the greater chance of success you will have in this harrowing, daunting, and yet absolutely exciting process. Good luck, and if you have any questions, please get in touch here. Next Post Trans-, Trans*, Trans, Transgender, Transsexual, Android, or Starfish?